When unemployed computer programmer Nan Burton inherits a California beach cottage from her great-great-aunt, she’s delighted. But she’s in for a huge surprise: The house is haunted by the ghost of famous romance writer Max Murdoch (pen name Maxine DuBois) who insists Nan complete his last novel, threatening to keep her from sleeping until she agrees. The ensuing clash pits youth against the long-dead but still egotistical author with humorous and moving results. I have read every book that Lorna Collins and her husbands have put out and have enjoyed each and every one. So when Ghost writer came out naturally I just knew that it would be good and I was not disappointed in the least. Many years ago I use to watch the TV Show the Ghost and Mrs. Muir and that is the first thing that crossed my mind when I started reading this book. When Nan Burton’s boyfriend walks out on her and she lose her job she really seems to be in a pickle. Well that is until her great great aunt’s will is read. Well yes she is getting a bundle of money when she reaches a certain age and also the beach cottage is her now. At least she won’t be homeless, but all this come with a stipulation. She also inherits the dog that better not die of anything but natural causes otherwise Nan will lose all the money. One thing Nan did not expect when she moved into the cottage was inheriting the ghost that went with it. Once a famous writer the ghost now haunts the cottage waiting for someone to finish his book. Now the fun begins, what is the old saying you can’t live with them and you can’t live without them as Nan and Murdock are either at each other or he is giving fatherly advice. Once I got started reading this book it was very hard to put down. I love a good ghost story and I was filled to the brim with this one. As always Ms Collins has written a clean story that any age can read one of my favorite parts was ““Finish your novel? Just what makes you think I’ll do that? I’m a Programmer, not a writer. I deal with bits and bytes, not words. You’re Delusional.” I could just picture in my mind someone walking in and seeing Nan waving her arm’s saying this to an empty space. I enjoyed all the characters but The Ghost was my favorite. Truly enjoyable story -Grab a copy you won’t be disappointed. I thoroughly enjoyed reading this book on my vacation. I wasn't sure what to expect, but I grew to really love the ghost, the heroin and the supporting cast. 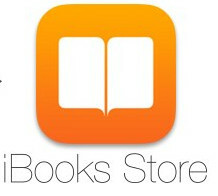 The book made me cry, smile and cheer. I truly enjoyed the characters and the story. I'm not going into detail about the plot, you can read the other reviews to get a notion of what to expect--and then you might be wrong. This is a delightful book in a wondrous setting with a two wonderful main characters--the reluctant heroine and the pushy ghost. 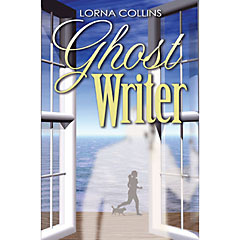 Lorna Collins has a unique voice and a sparkling writing style. If you love a book that will keep you turning pages and wondering how it's going to turn out, you'll love this one. A cute story about a cantankerous ghost who had been an author during his lifetime and is determined to have his unfinished manuscript published. He begins to haunt a young woman living in his house in the hopes of forcing her to complete it for him. Their relationship evolves from a prickly stand-off to a fatherly friendship. I loved the engaging conversations between the ghost and the woman. Ghost stories are the new vampire/zombie stories. That's my opinion after seeing so many promising ghost stories on the horizon, including this new take on--ghostwriting. You know what a ghostwriter is, don't you? Well, sometimes someone crosses the Veil without finishing his greatest work. That's what happened to famous romance writer Max Murdoch (who produced the lovely tomes as Maxine DuBois). So when the young and unemployed (we prefer to call it "between gigs") computer programmer Nan Burton inherits her great-aunt's California beach cottage, she discovers she has also signed on to be the one to complete Max's final and greatest novel. 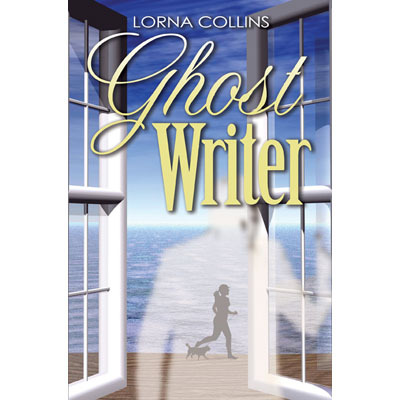 Lorna Collins has written a beach/ghost story for people who can't get enough of ghosts. It reminded me a little bit of one of my favorite old movies, __The Ghost and Mrs. Muir_. The narrative pulled me along and the story kept me intrigued. I don't want to give details that might be called plot spoilers, so that's all I should say. Go out and get your own copy today. Recommended.